The Mask. The Music. The Murders. Everything about the original Halloween has become iconic, and then subsequently run through the ringer of lackluster sequels. But this time is different, or at least it appears so. 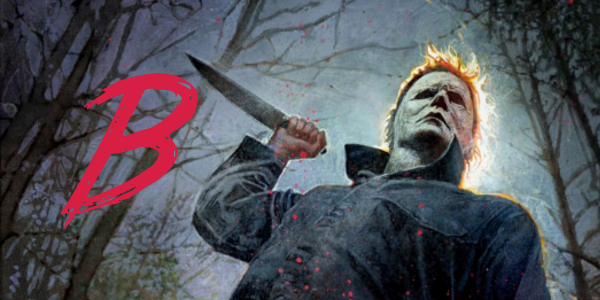 With the return of the original final girl, creatives that have a handle on how to craft tension, and the promise of resurrecting the nightmares that Michael Myers created all those years ago, the newest Halloween may just show that slashers have a place in modern Hollywood after all. It’s been 40 years since Laurie Strode (Jamie Lee Curtis) survived a vicious attack from crazed killer Michael Myers (James Jude Courtney) on Halloween night. Locked up in an institution, Myers manages to escape when his bus transfer goes horribly wrong. Laurie now faces a terrifying showdown when the masked madman returns to Haddonfield, Illinois— but this time, she's ready for him. The return of Jamie Lee Curtis to the role of Laurie Strode instantly creates an anticipation that hasn’t been attached to the franchise in years, if not decades at this point. It’s arguable that the only good entries in the franchise feature Curtis, and certainly the only great one, so seeing Curtis back is a good first step. After forty years, Curtis gets to explore a different side of Laurie Strode, a character weathered by trauma and decades of anxiety, and absolutely delivers on every front. The dynamic between Strode and Myers is explored effectively as well. Relying on the predator-prey relationship rather than an afterthought of a sibling twist, Halloween explores determination on both sides, and the fear that comes along with it. Every one of the diminishing sequels always failed to capture the eerie tone of the original. The constant foreboding nature of an unstoppable shape moving toward the next victim is terribly unsettling. The 1978 version recognizes this and plays with it expertly. Replacing that dread with the schlock of the episodes that followed never worked for the character of Michael Myers. Fortunately, that is something that the 2018 version recognizes, in some capacity at least. However, it still can’t match the near perfection of the first film, but with far more focus on atmosphere, the new film is a step back toward the vision of John Carpenter. As Myers meanders through the town of Haddonfield, director David Gordon Green ensures the presence of a killer is always prevalent, whether in the backdrop or foreground, and the audience never forgets to fear the boogeyman. Halloween is the first worthy sequel to the 1978 original that actually advances the story, it just took four decades to get here. Jamie Lee Curtis is back and better than ever, and hopefully starts a trend of scream queens returning to vanquish their terrorizers years later. The newest entry in this franchise proves one thing above all else: horror icons never truly die, they just need a proper resurrection.